Lusola Allyson-Obaniyi, a singer, songwriter, was born in Ikorodu, Lagos State. She gained admission into The Polytechnic Ibadan to study Music Technology in 1997 and she graduated with an Upper Credit, Voice major, Piano minor, Performance as area of specialization. She started her musical career at the young age of thirteen (13) and has worked with various artistes like Stella Monye, Gbenga Adeboye, Yinka Ayefele, Kayode Olajide and a host of others, singing in albums, jingles, signature tunes for television stations and adverts. Sola, as she is popularly called, is a singer by heavenly endowment, a musicologist by training and a musician by profession. Her debut album, EJI OWURO shot her into limelight in 2003 and since then she became a brand sought after in the music industry. So far, she has five (5) albums to her credit. Her powerful soul-relaxing voice, combined with her fluidity in the lyrical presentation of the Yoruba language has endeared her works to millions of fans, home and abroad. She has been one of the audition judges on the most popular Musical Talent Hunt show in West Africa, MTN Project Fame West Africa for five seasons. 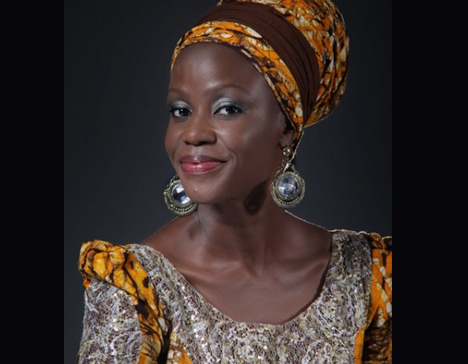 One of her songs ‘OMO TUNTUN’ was adapted by Unilever Plc as a commercial for one of their new products in 2005. She has won multiple awards but, as she says, what gives her joy the most is getting testimonies/ feed backs and seeing people get transformed by her gift, her music, her life. She is married to her Pathmate as she calls him and they are blessed with children.